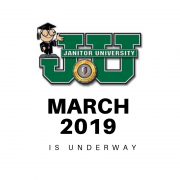 We kicked off our first Janitor University (JU) of 2019 yesterday with a sold-out group! 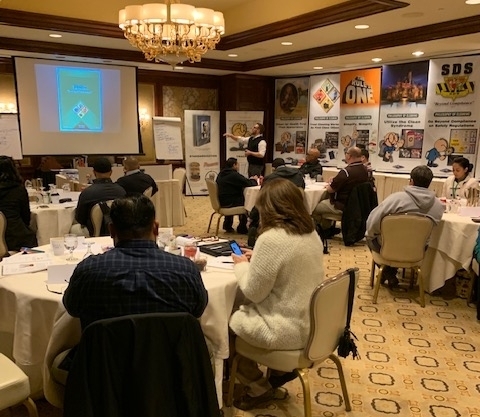 Held at the Little America Hotel in Salt Lake City, this event is a professional development course for cleaning executives, including facility directors, managers, CEOs of BSCs. In this class, we are excited to host several new faces from prominent academic institutions! 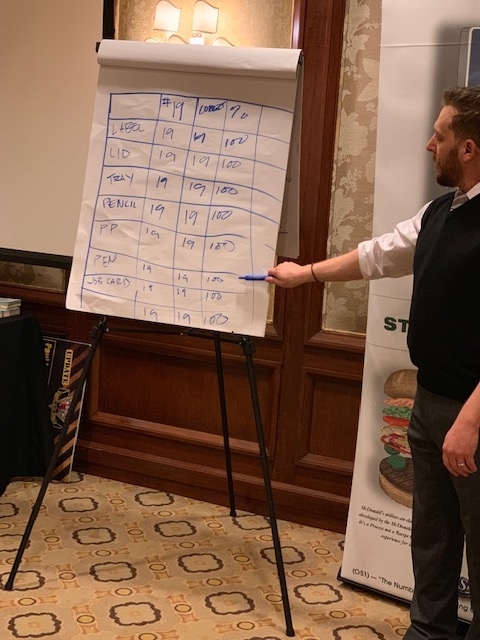 Ben Walker shares the benefits of a systematic approach to cleaning with attendees to the March 2019 Janitor University. 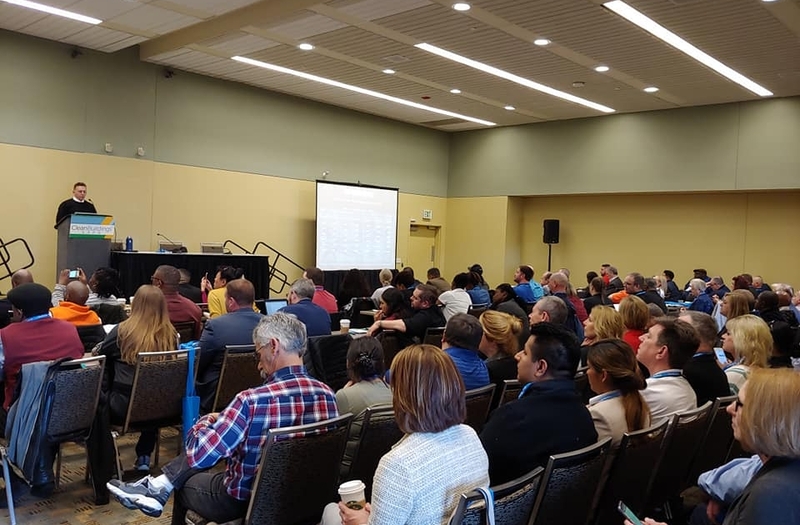 In the first day of JU, much of our focus is on data—or rather, the lack of data with many conversations that happen in the professional cleaning industry. Ben Walker, instructor, discusses the importance of using data in any cleaning operation. After a series of exercises, attendees to JU quickly learn the importance of data, and that it’s tough to argue with numbers! The Roman god Janus, from whom the words “janitor” and “January” are derived, looks to both the past and the future. 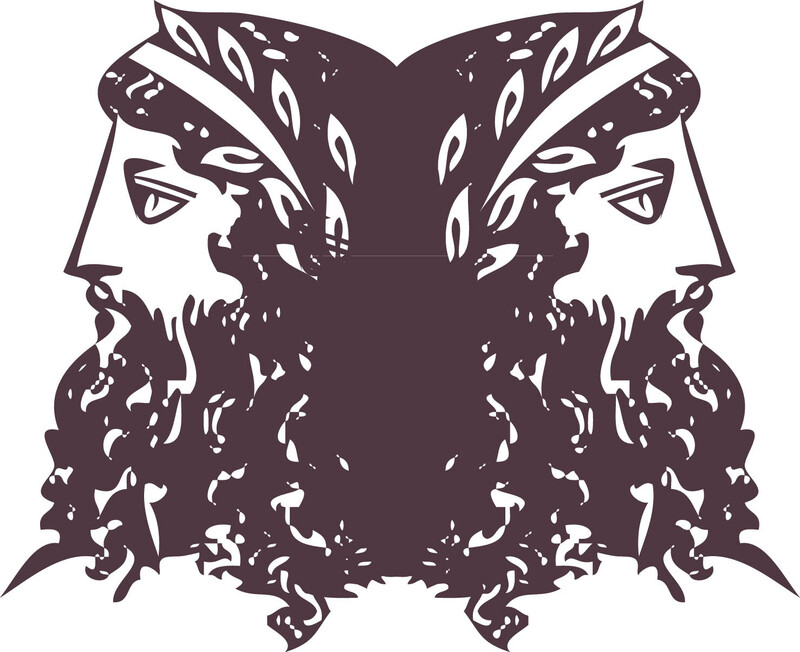 The month of January is named after the Roman God Janus, the same god that we explained in this post is the god of “beginnings and ends.” It’s from Janus that the word “janitor” is derived, as he metaphorically represented doors and passages. In images, he’s depicted with two faces that enable him to look to the past and future. 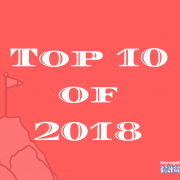 As many make personal resolutions to kick off the New Year, January can also be the ideal time to look at what your department has accomplished in the past year and set goals for the future—much like Janus. A good place to start is by thinking about common issues you’ve experienced in the past and find ways around them for the future. For example, maybe you’re having issues keeping cleaning staff, or inventory keeps wandering off because cleaning workers hoard it. These are common issues facility management professionals face, but they aren’t issues that you can’t easily overcome with a little planning and organization. 1. Clean and organize your supply cabinets. You wouldn’t believe what we see in some cleaning closets and supply storage areas. In addition to old chemicals and unused equipment, we have found everything from leftover lunches, crumpled up papers and dirt that you wouldn’t find anywhere else in the building. A lot of cleaning storage areas are downright filthy! 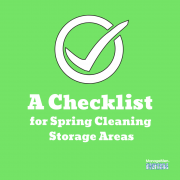 Rather than letting your inventory and storage areas become a place cleaning workers avoid, create a clean space that is well organized and allows them to easily find what they need, when they need it. Same goes with cleaning equipment—if it’s dirty, clean it up! Make it something your team is proud to use. 2. Start each morning with a warm-up. 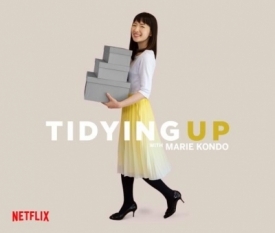 The Bureau of Labor statistics lists custodians as a top vocation for the highest rates of injury-causing days away from work in the U.S. Overexertion and repetitive motion injuries for custodial workers, resulting from common tasks such as pulling trash or lifting overfilled mop buckets. Just one of the exercises in the University of Texas at Austin’s FIT START program. Many of these injuries are preventable. 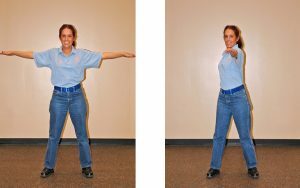 The University of Texas at Austin has developed an award-winning program that helps custodial workers warm up for the day with exercises for arms, back, legs and neck. You can easily recreate this program to help your workers warm up for their day. 3. Bring recognition to your department. There are several awards given throughout the cleaning industry that showcase best-in-class cleaning operations. From industry trade associations, non-profits such as the Simon Institute and trade publications, such as Facility Cleaning Decisions and Sanitary Maintenance, there are several opportunities to bring much deserved recognition to your cleaning program, specific initiatives or individuals on your team. One popular award we’d recommend is the Outstanding Cleaning Worker of the Year, which is presented annually at the Simon Industry’s annual Awards Banquet. This award recognizes hard-working individuals on your team who demonstrate a commitment to excellence in the profession. Click here if you know someone who would be a great 2018 award recipient. Another way to bring recognition to your department and team is by celebrating #ThankaCleaner week or International Cleaners Week. Held annually on the second full week of September, you can invite the entire business to participate by finding ways to thank and recognize cleaning personnel. 4. Develop a system for tracking complaints. Oftentimes, complaints are treated like fires. We receive a call, dispatch the team and put out the fire. In a lot of operations, we can spend most of our day extinguishing these proverbial fires, which comes at a great expense to the cleaning manager’s time—and sanity. Yet at the end of the day, if you look at who is doing the complaining, it’s often just a handful of people doing the complaining. 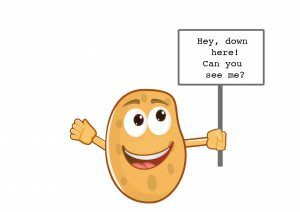 As we discussed in this article, we often call these people the “potato chip people.” Why? Because they are the type of people who drop something and call custodial to respond. Overtime, the chronic complainers can put a considerable drain on your time and resources. To reduce complaints, you need to first find out the source. 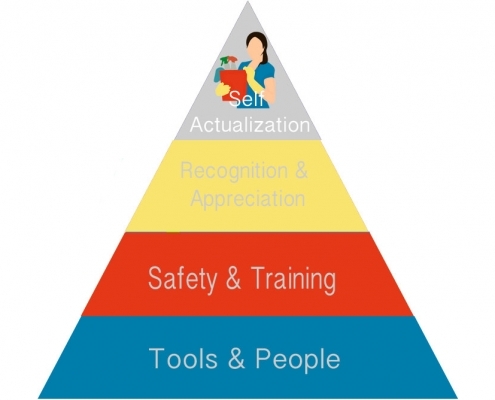 Is the problem truly reflective of a deficiency in your cleaning program? Or, are complaints due to the fact that a handful of people don’t have a clear understanding of your scope of services? Developing a form to help track complaints can help you pinpoint the issue, saving you and your team both time and energy. 5. Provide independent employee training — with a certificate! 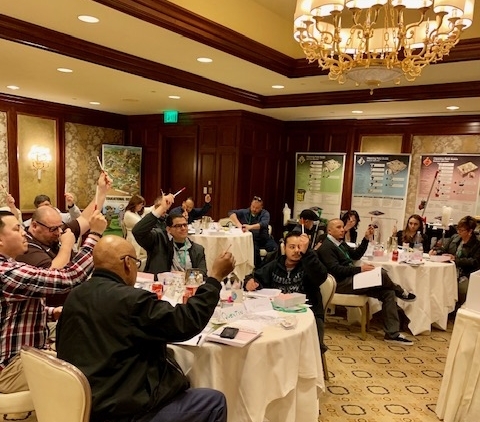 A large majority of the training that happens in our industry is provided by manufacturer or distributor sales representatives. There’s nothing wrong with this, but it is often focused on a particular products and doesn’t give frontline cleaning workers a broader perspective into the hows and whys of their jobs. An example of training that will help them better understand the science behind what they do is an introduction to microbiology. While they may know that most disinfectants require five to 10 minutes of dwell time to work, do they understand what organisms they are trying to kill, or how those organisms colonize and spread? Educated workers are empowered workers; this improves safety and worker retention. You might also want to consider training programs that offer a certificate upon completion. What might seem like just a piece of paper can instill an enormous amount of pride and confidence in a custodial worker. It’s something they can share with family or friends, or just be something they put in their locker to remind them of their achievement. As you can see, just a few small tweaks in your existing processes can completely change the energy in your department. 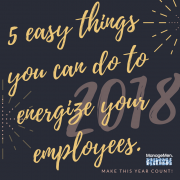 When employees are engaged and excited, everyone wins. Job descriptions. These generic and ambiguous paragraphs are often inherited from predecessors, borrowed from colleagues or downloaded from an industry website. Because it’s such a painstaking activity, we rarely tackle the daunting task of crafting a job description from scratch. 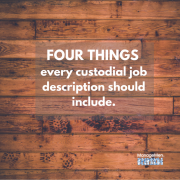 Over the years, we have found that job descriptions are one of the most overlooked and underutilized aspects of managing a custodial department; yet, they are are critical to reducing liability, arbitrating union grievances, hiring, bidding projects, training and managing custodial workers. 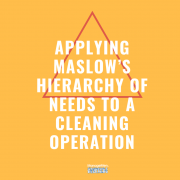 They are a fundamental building block upon which you can build the rest of your cleaning operation, so they should be written in a way that is not only reflective of the job and work being performed, but in a way that provides the individual performing the task with a clear understanding of HOW to perform the work. But sadly, that rarely happens. Assigned to workers throughout our custodial departments, the descriptions capture highlights of responsibilities associated with a certain position, but do not include specifics, like the nuances specific to a facility. 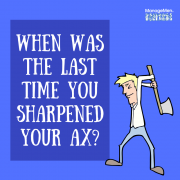 For example, I once was at a school where the janitor was responsible for “vacuuming floors” even though there wasn’t any carpet or soft flooring in the building. So what are a few essential components of a quality job description and how can you use job descriptions as a building block for training custodial workers? 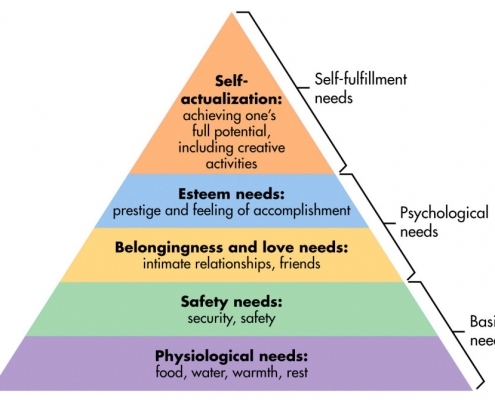 FUNCTIONS: The functions outline all of the essential responsibilities of the job. This includes specific cleaning assignments based on the function. 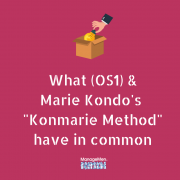 For example, within the (OS1) System, functions of a Utility Specialist include responsibilities such as cleaning glass, hauling trash to the dumpster and cleaning first impression areas. SPECIFICS/ADDITIONAL INFORMATION: With the general functions covered, the additional information section provides supplementary information to the key functions. For example, this might include safety information (e.g. lift equipment and trash bags safely using legs) or general reminders (e.g. keep the necessary keys for your area on you at all times throughout your shift). NOTES: The notes section offers a place where either additional responsibilities that become part of the job can be captured. For example, if a new table is placed in a conference area, you should list this in the notes to be added to the functions at a later time. While these are three key elements to a quality job description, what separates a good job description from a great one is a flow chart. The flow chart provides a visual representation of the steps the custodial worker should take to complete their responsibilities. 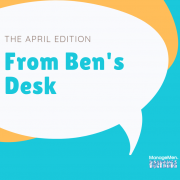 Following a top to bottom approach, it also identifies each task that needs to be completed and the order in which it should be completed, reducing opportunities for redundancies or overlooked areas. A flow chart shows where you start, where you finish and every step in between. A flow chart offers specific instructions on what to clean in what order and is included in a Scouting Report for each employee. 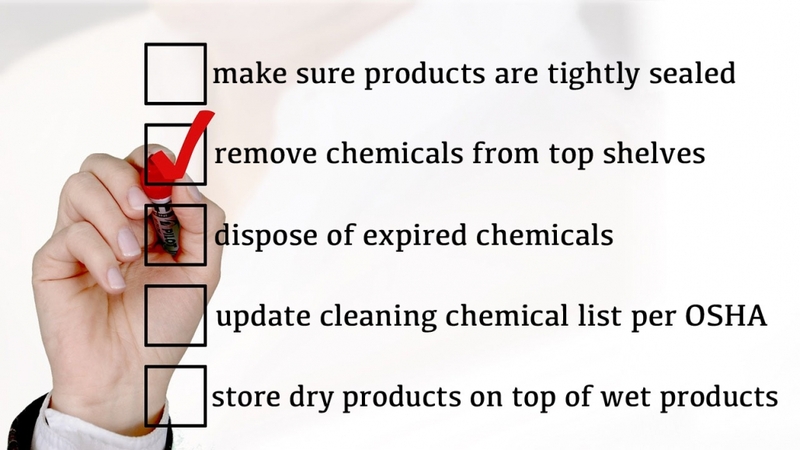 This reduces confusion and inconsistencies in cleaning. A modern version of the traditional job description should be a living, breathing part of your operation that is continually changing and evolving. It’s something that has taken us more than 20 years to develop with some of the most advanced facility management programs out there. 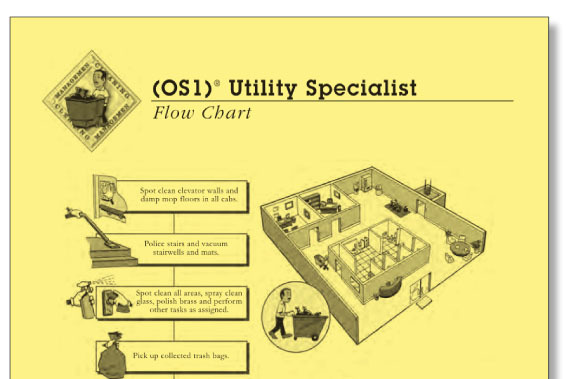 We use Scouting Reports in the (OS1) System and these three to four page booklets are utilized by custodial workers in ISO-9000 organizations across the U.S.
A quality job description is something every custodial worker deserves. It’s the foundation of a quality cleaning operation. Looking for comprehensive job descriptions for your custodial operation? Check our the ManageMen Store for a set of common custodial positions: https://managemenstore.com/trainers/scouting-reports.html.